The showing was split on Wednesday night, but it was clear that both sides remain passionate about the landfilling issue. The community is split on the proposed local law. Speakers included President of Finger Lakes Railway Mike Smith, Seneca Meadows District Manager Kyle Black, Vice President of the Concerned Citizens Leeland Henry, former Seneca Falls Mayor Brad Jones, as well as a variety of other members of the Seneca Falls community — and those surrounding communities. Seneca County Historian Walter Gable urged the board to wait on making a decision. Like many speakers, he was concerned about the economic impact that Seneca Meadows exiting the region would have in the short-term and long-term. Kyle Black pointed out the “rich industrial history” that Seneca Falls has earned from years of being at the forefront of industrial development in years past. 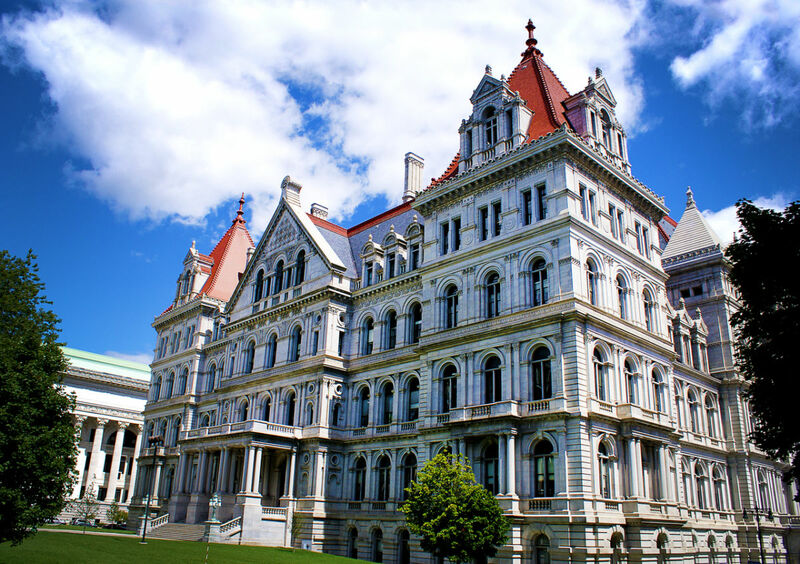 Opponents urged though that the long-term health of Seneca Falls and surrounding communities is far more important than any economic impact. The extension of a DEC permit has been a major cause for concern among those who oppose landfilling in the Finger Lakes. Jennifer Marshall, a resident, said that “More jobs will come when Seneca Meadows closes. I urge the closing of the landfill in 2017.” She closed by pointing out that all residents should know what they’re breathing in, citing the continued environmental concerns in Seneca County. Marshall asked Lazzaro, as well as the entire board — when Local Law #7 would be put up for a vote. Lazzaro said that there was currently no plan to do so, but that the community forum held on Wednesday was done so in good faith. He said that any member of the board could push the proposed local law to a hearing, which would then force a board vote. There were multiple speakers throughout the night, who spoke about various issues relevant to the landfill, but did not mention the proposed local law. While that was said to be a rule heading into the forum, it was not rigorously enforced. Jim Sandlas, a resident of Seneca Falls, talked about odor control, as well as his support for the proposed local law. “The reason why it’s gotten bad is because we’ve taken 25 million tons of garbage.” He continued, “That’s why the odor has gotten out of control, because [Seneca Meadows] can’t control it.” “Let’s stop prostituting outselves to the landfill,” Sandlas concluded. Seneca Falls Town Board member Mary Sarratori said that it would be unfair to ‘box’ candidates in like that. “We’re just as concerned about the fiscal outlook of Seneca Falls,” she explained. Sarratori explained that for those reasons, she was taking part in developing a long-term plan for Seneca Falls. 7:45 pm: We’ll have a complete recap of the proceedings tonight, as well as complete video footage of the community forum. Stay tuned to FingerLakes1.com for that Thursday morning. 7:23 pm: While the tone of tonight’s forum has been contentious, but those in attendance now are starting to grow a little restless. Both sides are starting to call out and interrupt speakers. Mike Smith, of Finger Lakes Railway, has probably been the most-interrupted speaker of the night. Not sure if that is a distinction he will hold onto through the rest of this forum, but for now, it’s a distinction that is his. 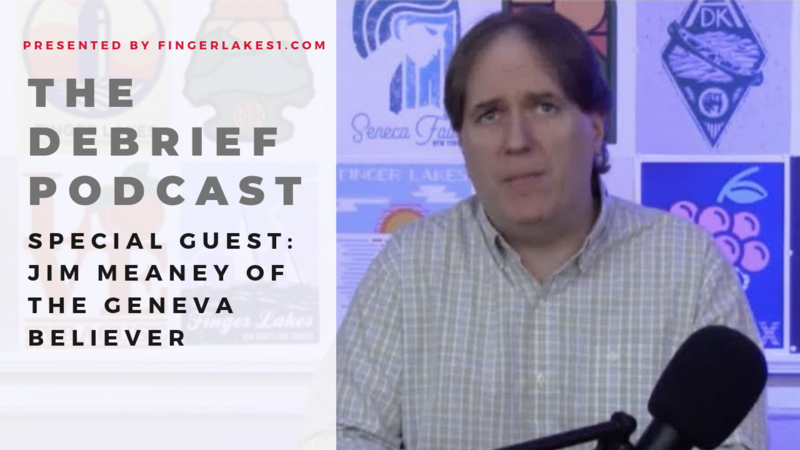 7:20 pm: Mike Smith, President of the Finger Lakes Railway, spoke about the financial implications of closing Seneca Meadows. “Businesses like us can’t vote, but we do pay taxes,” Smith began. It’s safe to say that if you vote for the proposed local law those businesses in Seneca Falls are going to be paying a lot more, Smith said. “They [Seneca Meadows] are an economic engine, and have a positive economic impact on Seneca Falls and Seneca County.” He went on to question how Seneca Falls would make up $2.4 million, the hundreds of thousands that would be lost for area schools, and the vendors from around the area that service Seneca Meadows. 7:13 pm: Kyle Black, District Manager at Seneca Meadows Landfill, takes the podium to address the board and those in attendance. He begins by talking about the rich industrial history of Seneca County and the Finger Lakes. Black explained, “In my opinion, Local Law #7 sends the wrong message to businesses.” He says that the deleterious effects outlined in the proposed local law, are potentially ‘overstated’. According to Black, Seneca Meadows has been working closely with the DEC to improve their operation. Their efforts to reduce the odor are ongoing. He says that traffic incidents due to Seneca Meadows are greatly overstated. Many of those concerns, according to Black, are ‘unfounded’. 7:07 pm: We are now a little more than an hour into the forum. Current speaker calls it “a little hypocritical” to call for Seneca Meadows to be closed, when “We’re all a part of the [solid municipal waste] problem.” Speaker primarily addressed the concerns over seagulls. This was another speaker that did not address the proposed local law. 6:41 pm: Brad Jones former mayor of Seneca Falls, alongside four other individuals are going through the findings, which were outlined in the proposed local law. The entire local law can be read below in the embedded PDF. They cite odor, safety concerns, and environmental concerns. Jones points out that while economics have been the focus of the proposed local law – the intent was to mitigate the environmental impacts of landfilling. Whether those impacts be leachate, air pollution, or any other environmental impact. Jones said “It’s about the health and welfare of our community moving forward.” He also spoke against the notion that the agricultural community would be impacted. 6:33 pm: Lee Henry, Vice President of the Concerned Citizens of Seneca County, takes the podium. He calls for a public hearing and vote to be scheduled within 10 days of the October 4th Seneca Falls Town Board meeting. He says that the proposed local law provides Seneca Falls with the opportunity to grow stronger and better than it is today. “Not passing Local Law #7 … will surely be followed by an extension.” Henry went on to point out that the future of Seneca Falls and it’s residents are at stake. 6:20 pm: The third speaker of the night is Chris Lajewski, Center Director of the Montezuma Audubon Center. He points out that Seneca Meadows has gone above and beyond in their efforts with their preserve, which has hosted multiple events throughout the spring, summer, and fall. Lajewski said that bird watching is one of the fastest growing activities in the U.S., which has become an economic engine. Lajewski doesn’t actually mention the proposed local law in his comments. Lutz asks why the birds will stop coming to the wetlands – if Seneca Meadows closes. Lajewski says that Seneca Meadows is a “strong” private sector partner for their organization. 6:13 pm: Annette Lutz says that the local law is to prevent Seneca Meadows from expanding beyond their current airspace. The law is to protect the community, she stated. Lutz compared living without the landfill to entering retirement without preparation. 6:11 pm: Seneca County Historian Walter Gable is the first speaker of the night. He points out that the Seneca Falls Town Board does not have enough information before them to make any well-informed vote. Gable said that it would be “irresponsible” for the board to vote on this issue without understanding the tax implication and services. Local Law #7 will be on full-display tonight in Seneca Falls. On Wednesday, the Seneca Falls Town Board will hold a community forum, which will serve as an opportunity for residents voice their opinion. While it will not serve the same function, as the public hearing would have on the proposed local law – it will be the first time that residents have an opportunity to speak on this exact issue. No other items will be discussed, and even the broader discussion about landfilling in the Finger Lakes – won’t be fielded as “appropriate” debate, according to officials in Seneca Falls. They maintain that this community forum will be to specifically discuss the merits of the proposed local law, and how it would impact the community as a whole. The community forum is scheduled to begin at 7 pm at the Seneca Falls Town Offices located on Bayard St., with an end time of 11 pm. FingerLakes1.com will provide live commentary and highlights from tonight’s public hearing right here, and will provide full-video footage from the forum on Thursday morning.